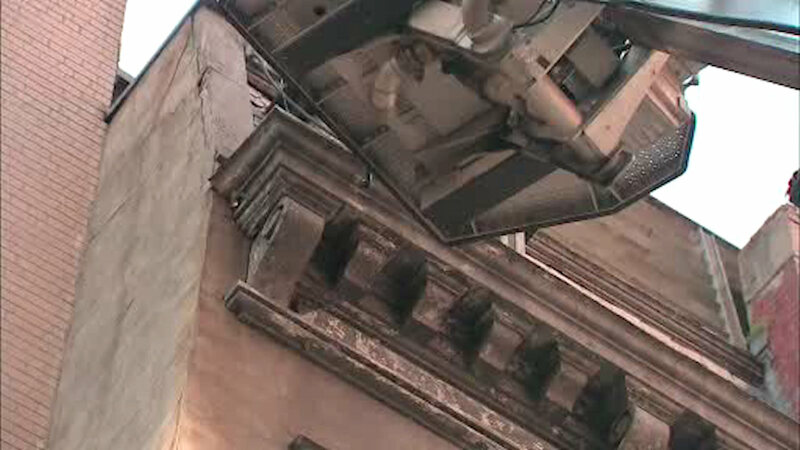 NEW YORK (WABC) -- New York City Inspectors are investigating the crumbling facade of a building in Murray Hill after bricks fell onto the sidewalk on Wednesday afternoon. The building is located on East 38th Street near the corner of Lexington Avenue. The sidewalk in front of the building was closed as firefighters secured the facade. City officials ordered a sidewalk shed to be installed immediately. No one was hurt from the falling bricks.